Salmon is one of my favorite kind of fish. While on the Dr. Oz Rapid Weight Loss Plan I eat Salmon at least twice a week. This is my favorite way to eat it. Clean and thoroughly dry your salmon fillets. Place on large flat plate and sprinkle with all of the seasonings. Turn each piece around and sprinkle with all of the seasonings on that side. 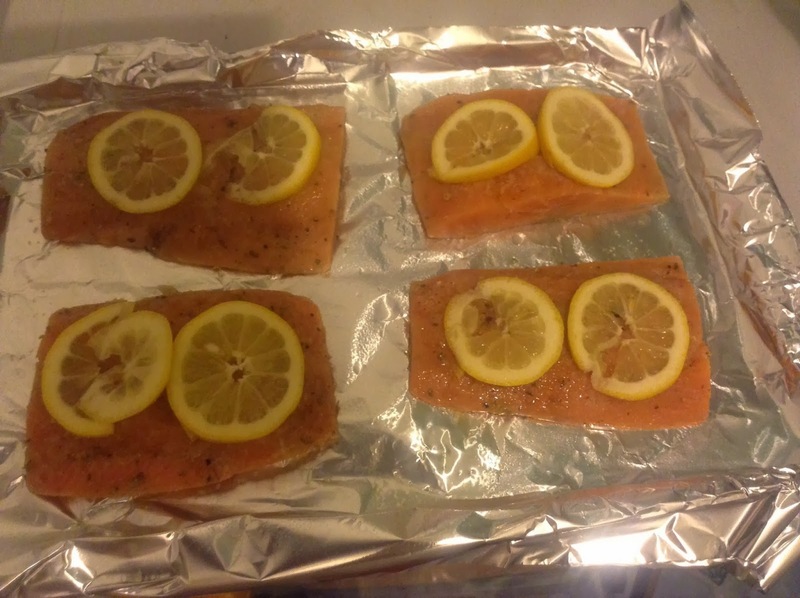 Place salmon on to cookie sheet sprayed with cooking spray. Take one of the lemons, cut in half and squeeze juice on top of each salmon fillet. Take the other lemon and slice thinly. You want 8 slices of lemon. Please 2 slices on each fillet. Bake for 20 minutes or until cooked through. You want the salmon to be moist and flaky. That sounds so yummy! I love salmon! I need to go buy some. it has been way to long since having fish. Looks super easy! Something that would be good for us on nights we have other things going on. Thanks for sharing. I love salmon. That looks really good. This looks delicious! I don't eat seafood but my husband recently convinced me to give salmon a try and now we eat it fairly regularly. This will be the next recipe we try! mmm..I love salmon. And the portion size looks great! I love salmon and this recipe sounds delicious! Look delicious! Great job on your journey! 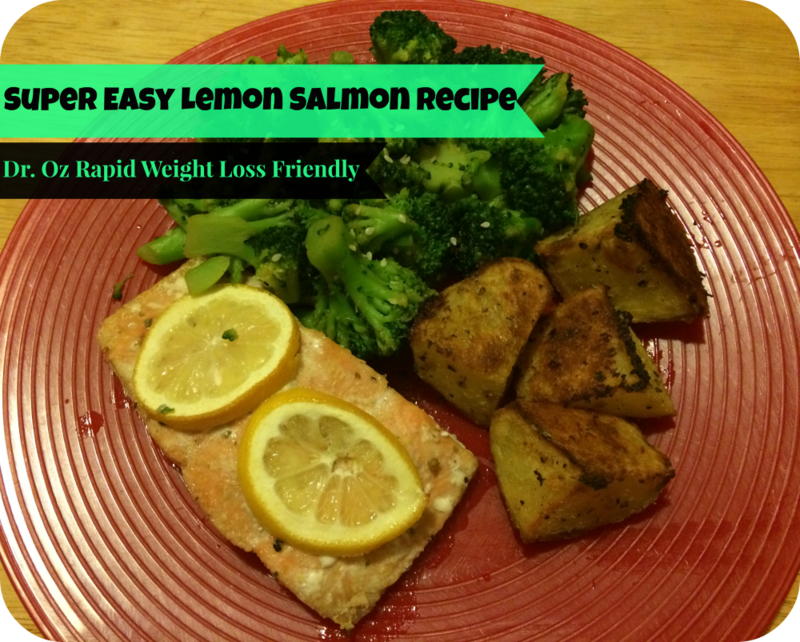 I love lemon with salmon, and it is super healthy! I like the ingredients that you included in your recipe, and I'd like to try it! I will have to try salmon this way. I am not a huge salmon fan, but maybe I have not had it made very well. I love baking salmon. I have never tried putting lemons on top, will try soon! This looks so simple. I have never tried baking fish this way, now I will. I am not a big salmon eater, but I know my husband would eat this right up. Loooove salmon. We eat a lot of fish in this household. Sounds like a great recipe! Yummm, this meal looks delicious! Matt and I have been looking for some new dishes to try! This might just have to be one of them! Our family adores salmon and this looks delicious. Lent is starting soon and fish will be a weekly visitor in our home so it's nice to have different recipes to change it up. Lemon makes everything taste better. 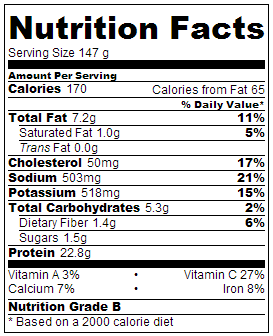 Great recipe, and as always, thanks for sharing the nutritional information. Salmon sounds really good right now! I like the use of lemon in this recipe. I haven't had salmon in a looooong time, but this looks like a great recipe to try next time. I've been thinking about it for awhile now :) I love that you shared the nutritional info too. Love eating fish too! Nice that it has weight loss benefits. Looks So Good I Can't Wait To Try!! My husband loves Salmon and this recipe is ideal for his dinners. My son is wanting to make salmon so this is a great recipe for him. Yum I love Salmon! It's so tasty even as a simple dish! We love salmon at our house. I have really good look cooking it on the barbecue. I set it on foil, spray it with cooking spray, sprinkle on the seasoning, seal it up and let it steam for a few minutes. It turns out perfect and moist every time! Yummy! Thanks for the idea of the lemons right on top, hadn't thought of that. That looks delicious. This is the type of meals I cook. I've never really eaten Salmon, except for maybe once, and it wasn't all that great. But, I'm willing to give it another try, because this looks so yummy! This looks delicious! I'm not a huge salmon fan but I love fish! I will have to make this for sure! I have never had salmon before, does it have a real fishy taste to it? that sounds great! i have never made a good salmon before, but i think this recipe ould be a winner! Very healthy. I am not a fan of fish, but I know it is very good for me. I will have to try this recipe. I know my hubby and mom will eat it up. What a great recipe. We love salmon at my house. Thank you for sharing! Seafood has always scared me because I never know how to cook or season. I love these recipes! That looks so delicious. I admittedly don't eat a lot of fish, and I never really have. However, my fiance has been trying to make a real effort to look after his heart the way he should be, and the way he should have been over the last few years, honestly. That means we are now venturing into the world of fish, and from everything I have read, salmon seems to be the best kind of fish to incorporate into our weekly diets. Thanks for sharing this recipe! This looks great and super easy to make. My family loves fish and its always to have another recipe to add to our book. Thanks! Looks delicious, can't wait to try it. 20 minutes? That's not bad for a tasty fish dish. I love Salmon and could use a new recipe.